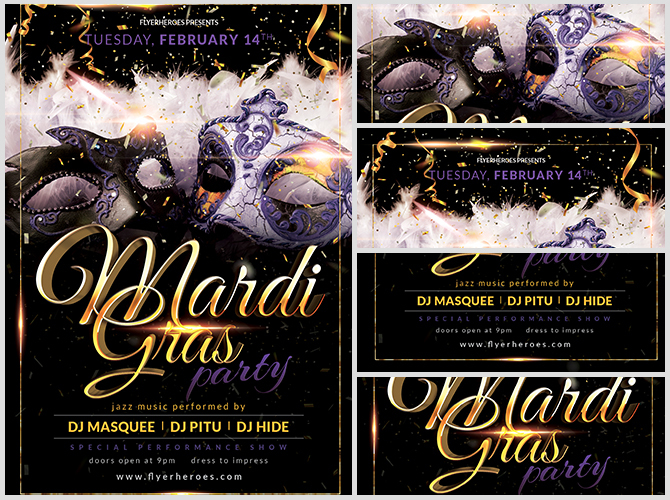 Use our Mardi Gras flyer to advertise your next celebration! 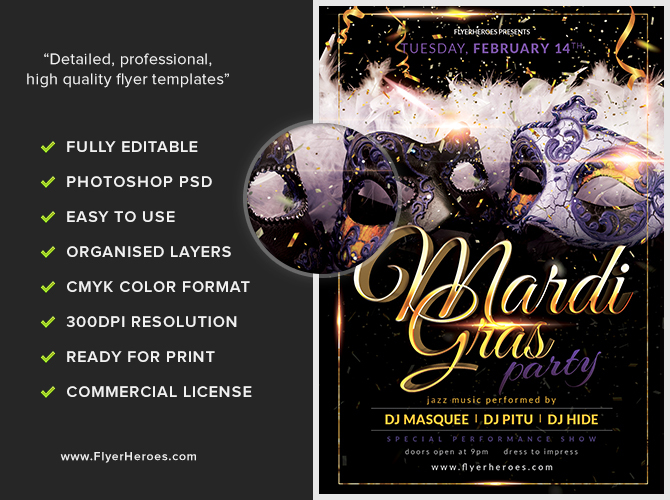 This opulent flyer uses rich tones of purple, white, and gold over a black background. The central focus of this flyer is a gorgeous gold script, advertising your event title in large fonts designed to grab attention. Above the event title, there are ornate purple and black masks, surrounded by white feathers, and overlaid by gold ribbons and glitter. 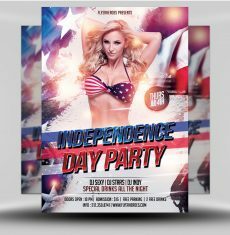 Event details appear at the top and bottom of this flyer, framing the center content nicely inside a metallic gold border. 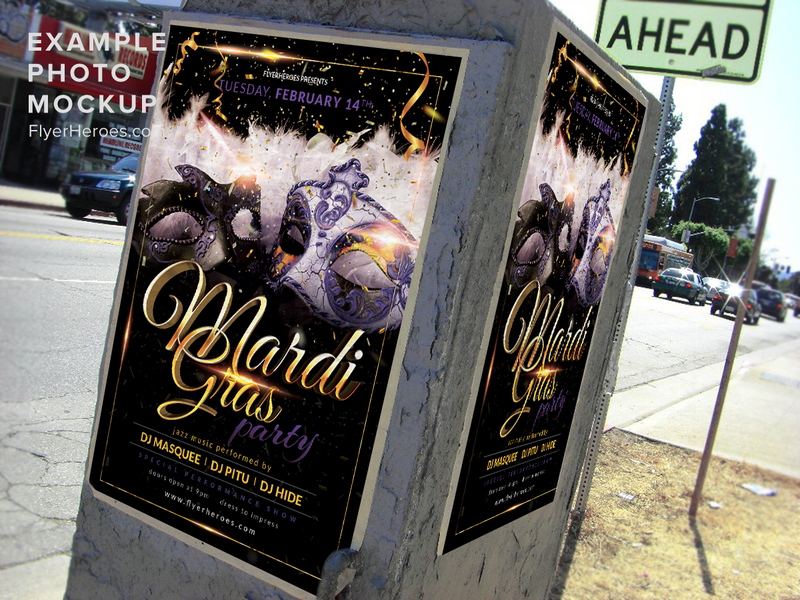 This flyer has a dark, opulent feel while using the gold accents to keep it light enough for any kind of event. 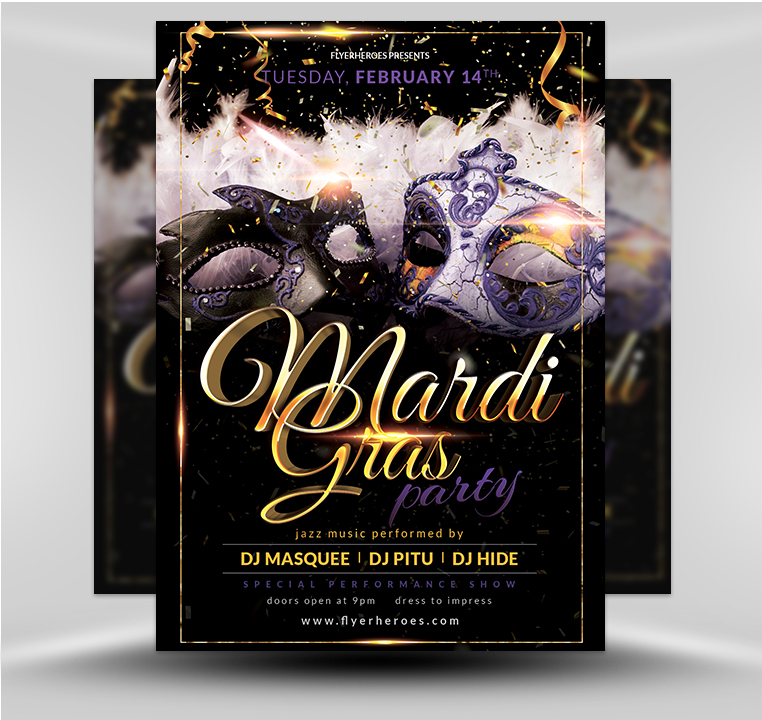 Our extravagant Mardi Gras flyer can be used to promote your themed night or special Mardi Gras event!